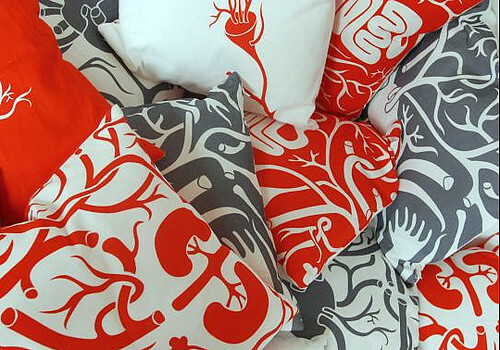 So I know you people are tired of hearing about how I'm a baby incubator and blah, blah, blah, but occasionally it affects my life, and stuff happens that I want to write about. Case in point: The Hunny and I started Lamaze classes, and so far they are utterly useless for me, but The Hunny has definitely had his big baby blues opened to a whole new world. Last class the teacher held up a bunch of anatomy charts showing what happens to a lady's innards as the baby grows, and the Hunny's eyes got bigger and bigger. 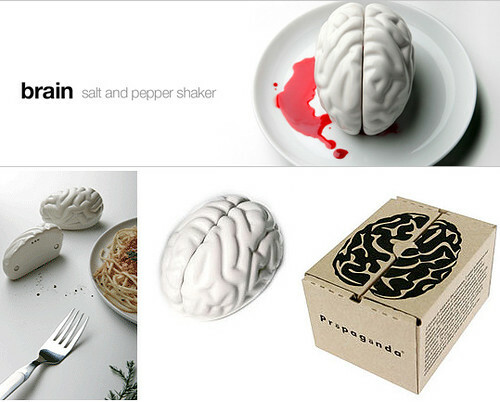 Whither yon stomach, intestines and bladder? Questions for the ages. Anyway, while he was busy trying to contain his fear, I was thinking, Damn, wish I had some of those charts to hang at my house! 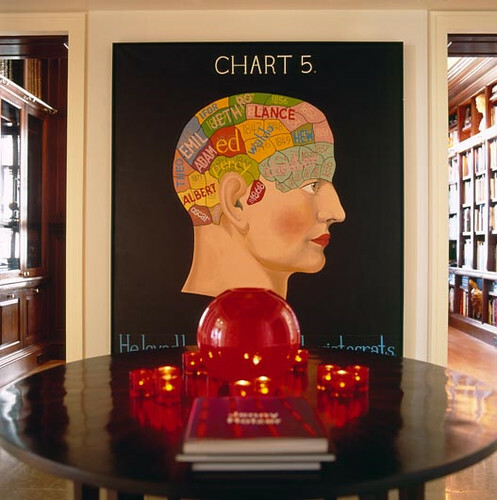 Ok, so the charts in our class were more of the 7th grade than 19th century persuasion, but how great is this vignette in Jay Walker's crazytown house? 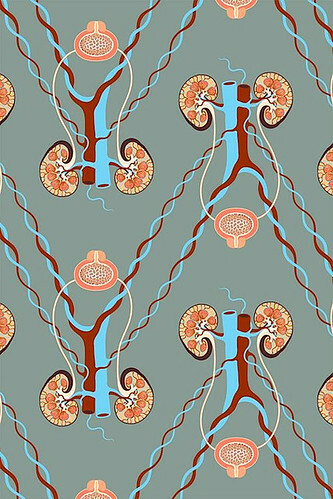 I think this urinary Tract WALLPAPER by Shannon Wright would help Hunny to better appreciate my precious bodily fluids. Having a baby = 862 extra trips to the bathroom during the night. Much like me, this dude has boys on the brain. Perhaps I should name our bouncing baby Lance, Emil or Albert? 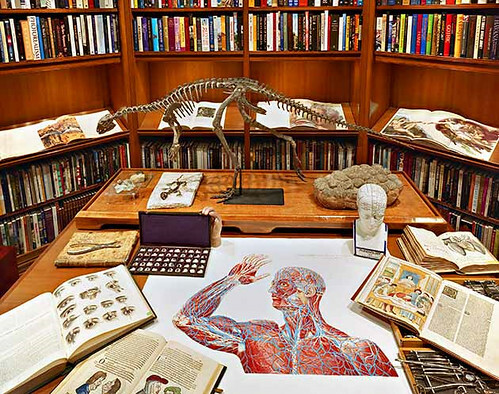 Image courtesy of OWI. 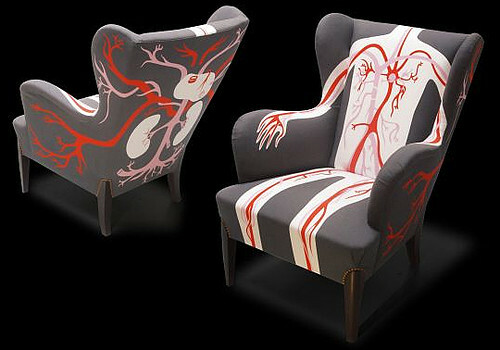 Anatomical print chairs and pillows by AK-LH remind me to exercise proper posture when sitting. 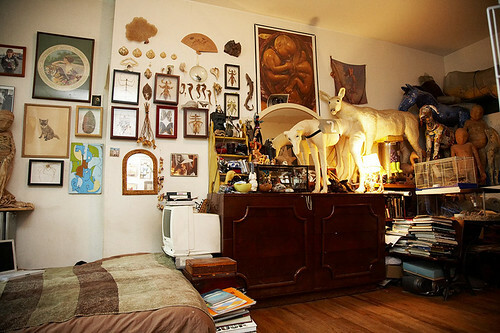 Via Apartment Therapy. 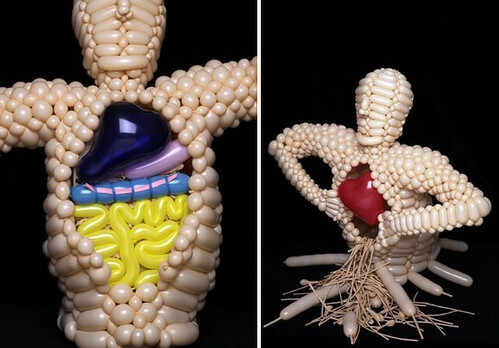 Dear God (or whoever), please tell me my insides do not look like these balloon sculptures by Paul Graves! My body may be stretched to the max, but my heart is full of a whole lotta love right now. Cute (and cheap!) 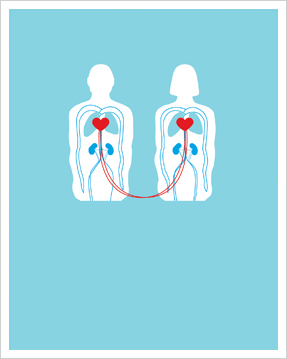 screenprint that inspires my grossly sentimental side -- which is obviously caused my a hormonal overload, right? -- by Hybrid Home.